Mathieu van der Poel (Corenden-Circus) won solo in Bern, despite the best efforts of world champion Wout van Aert, who chased hard after suffering an unfortunate mechanical early in the race. 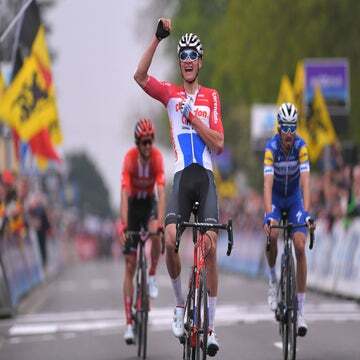 The race set off at a furious pace under the sunny, dry conditions, and a group consisting of Van Aert, Van der Poel, Daan Soete (Pauwels Sauzen-Vastgoedservice), and Lars van der Haar (Telenet Fidea Lions) soon formed. Riders struggling on the technical obstacles in the pack caused the rest of the field to rapidly lose ground. On lap four of 11, a dropped chain caused Van Aert to lose time, just as Van der Poel attacked along the barriers, with Soete stuck on his wheel. 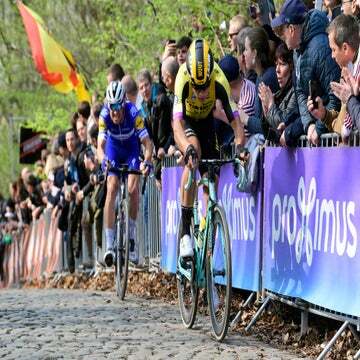 However, he could not match Van der Poel’s furious pace for long. Behind him, Van Aert recovered well from his mechanical and chased hard, and was seven seconds off the lead on lap four. However, he was unable to close the gap further, and ceded ground in the following laps. Soete slipped back into a group made up of Van der Haar, Michael Vanthourenhout (Marlux-Bingoal), Corne van Kessel, Quinten Hermans, Toon Aerts (all Telenet Fidea Lions), and Felipe Lloret Orts (Delikia-Ginestar), who were 31 seconds back. Aerts and Vanthourenhout attacked each other several times, with the lead duo seemingly out of reach. However, on the penultimate lap, Aerts escaped the group with Vanthourenhout unable to respond. Van der Poel distanced Van Aert in the final laps, and went on to win in a time of 1:04:48, with the Belgian finishing eight seconds behind him. Aerts finished third, 58 seconds off the lead. Aerts still leads the World Cup classification with 225 points, with Van Aert 15 behind.